This time last year we were just kicking off a five week series on “Justice, the public face of love”. Over those weeks we explored freedom from slavery, gender justice, environmental justice, economic justice, and racial justice. Having spent five weeks on the topic, I realised it was going to be a little hard to only give it a single slot in our series this year on faith in real life. But we couldn’t leave it out. 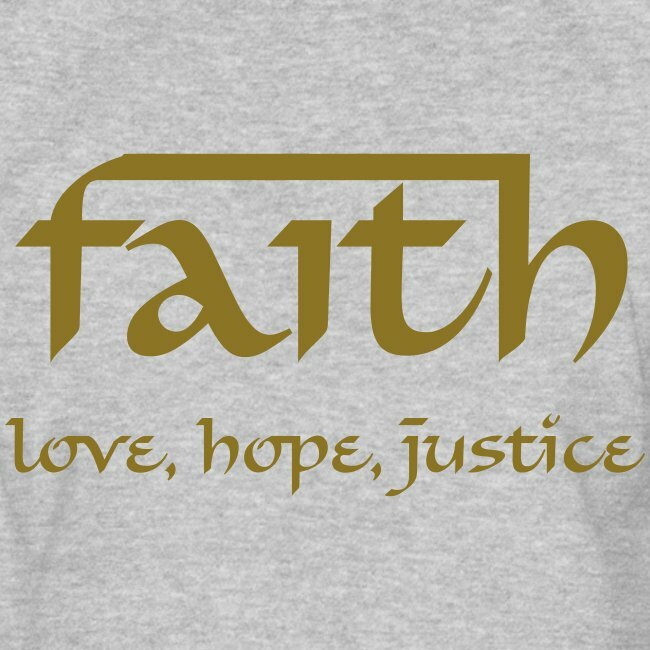 Because living lives of justice, lives that make real the justice of God in the world, is a core part of our faith. It is perhaps the single most dominant theme running through the whole of the scriptures: as the prophet Micah has it, and as we sang just now, what the Lord requires of us is this: act justly, love mercy, walk humbly with your God. For God is love, and justice is what love looks like in the public domain. So I wanted today to reflect on one of the reasons that the cry for justice rings so powerfully through the scriptures. And it is part of what makes the Bible, and in particular, makes Biblical history, so unusual. It’s a truism that history is written by the winners. But the Biblical narrative broadly bucks that trend. Although some sections – the exodus and the invasion of the land – are written from the perspective of a conquering nation, the larger bulk of Biblical history, both in the so-called history books of Kings and Chronicles, and in the works of the prophets, are written by the losing side, by the defeated, by the exiles. Even much of the triumphant writings of Exodus and Joshua were probably actually first written down in exile, after the brief triumph of the nation under David and Solomon. The narrative was written, for the most part, by the defeated, by the oppressed. And it is the defeated, the oppressed, who talk about justice. The powerful do not cry out for justice. They don’t need it. What they want, they have, or they can get. Justice, on the contrary, is a danger to power, to privilege, to those who are favoured by inequality. It is the powerful who benefit from the inequalities of our global trade system, who can get things made more cheaply by taking advantage of those who have no power in negotiations, who can arrange the rules of the game to suit their needs, who can use the earth’s resources as if they were unlimited and just move on to another place leaving the damage they have done behind. The powerful don’t cry out for justice. They buy the best lawyers, lobby for laws to be changed in their favour, bribe those who have the responsibility of holding them to account. When they don’t like the direction a country is going in, they don’t cry out against injustice, they use their influence, their newspapers, their economic clout to force a change. The powerful don’t cry out for justice. They don’t need to. It is the poor, the dispossessed, the oppressed; those are the ones who cry for justice. Those are the voices that echo through the scriptures. Because that is what, for most of Biblical history, the people of God were. The underdogs. Not without reason was it that the Church grew first, most rapidly, amongst those who were on the outside of society, those who did not have a position of power in their culture. Amongst the slaves, amongst the women, amongst those who were of the occupied nations. The ones for whom Jesus’ words: God has anointed me to bring good news to the poor, release to the captives, freedom to the oppressed didn’t need to be spiritualised, didn’t need to be carefully exegeted, didn’t need to mean anything other than what they clearly meant. It is those who lack power and influence and wealth and authority who cry out for justice. It’s the children on Nauru, imprisoned without hope because their parents fled persecution and sought the help of a supposedly civilised nation, who cry out for justice. It’s the woman suffering in an abusive relationship because she can see no economic alternative, or because she fears for her safety or that of her children if she leaves, who cries for justice. It’s the gay or transgender child contemplating suicide because they are told again and again that they cannot be the person that know they are, who cries out for justice. It’s the modern day slave, forced to work in unsafe and inhumane situations with no hope of freedom, who cries out for justice. It’s the indigenous owner of land, denied their traditional rights and yet treated as less human; torn from ancient culture but denied a voice in the modern world, who cries out for justice. It’s the child abused in an institution that was more concerned about protecting the reputation of important adults than providing safety to the most vulnerable, who cries out for justice. And it is God’s people who are supposed to hear those cries: for God most surely hears them. The story is told of a medieval castle in which, due to some quirk of the architecture, those who gathered in the chapel could hear the cries of those imprisoned in the dungeons. As they gathered for worship, they would hear the victims of their feudal Lord’s “justice” crying out for mercy, for true justice. And while no doubt many of those imprisoned were guilty of their crimes, others, surely, were innocent victims of the arbitrary judgement of the Lord of the castle. And when they were bothered by the cries, the priest gave them this advice: “sing more loudly, pray more loudly, and we will drown out their cries with our worship”. We don’t have to sing more loudly, we just have to change the channel, read a different story, think about something else. But it’s the same invitation. To focus on the worship of God, and not on the cries of the disempowered, the victims, the hurting. to proclaim the year of the Lord’s favour. ? You cannot claim faith in Jesus Christ, and have no concern for justice. That’s not to say, of course, that all people of faith are going to agree on what ought to be done: we can most certainly differ on the right way to bring greater justice to the world, the right priorities, the workable solutions. The world is a complicated place, and the problems we face defy simplistic solutions. And as Jesus said “whatever you did not do, for the least of these, you did not do for me”. No one of us can do everything – but faith demands that we do something in the name of Justice. What we cannot do is just sing more loudly and try not to hear the cries of those in need.